Throughout my childhood, my parents taught me the importance of a well-written thank-you note. I was not allowed to play with a toy or use money received for a birthday or Chanukah gift until the handwritten card was signed and sealed. There was a time, as an adolescent, when I decided to test the system. I let a gift from my grandma go unmentioned — and it wasn’t long before I received a very stern phone call. As an adult, the message of proper thank-you notes has stuck with me. For every gift received, the box of stationary comes out. “Thank you,” I write, doing my best to relay my gratitude for the gesture of another’s thoughtfulness. After an important life event, like the birth of each of my children, I have been blessed to feel the ache in my wrist as I write note after note. “How lucky am I,” I try to remember, as I wring out the cramp in my hand and prepare to write the next note, address the next envelope, affix the next stamp. In parashat Tzav, our tradition shares with us another (perhaps messier!) way to show gratitude. This section of our text goes into deliberate, gory detail about the instruction to offer korbanot, sacrifices, to communicate with the Holy One. Reading the book of Leviticus, each sacrifice appears bloodier than the next. While some are as simple as “leavened cakes with oil mixed in,” (Lev. 7:12), they are often accompanied by animal blood that has been “dashed on the altar,” and the flesh of which is “eaten on the day that it is offered” (Lev. 7:14-15). And yet, we still understand the importance of thanking the people in our lives with physical acts. We write thank-you notes. We offer hugs, handshakes and heartfelt words. When God’s presence feels impossibly far away, it might seem that words and meditations are not quite enough for the magnitude of our experience. We might wonder: How can we feel the same ache in our wrist, glue enough stamps or send enough cards to the One whose address is all of creation? My teacher, Rabbi Richard Levy, considered the role of the priests in the ancient Temple. After the sacred feast had ended, the priests would carry out the ashes from the fire. In other words, the priests would take out the trash. “Yes, for the ‘trash’ — the ashes left over by the fire — contain the remnants of k’dushah, the holiness, of the original offering, and so carrying out the trash is a noble task,” Levy wrote. 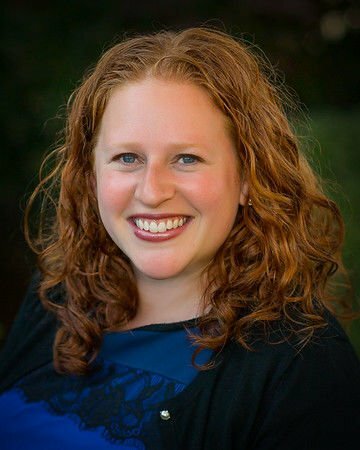 Rabbi Sara Mason-Barkin is associate rabbi at Congregation Beth Israel in Scottsdale.